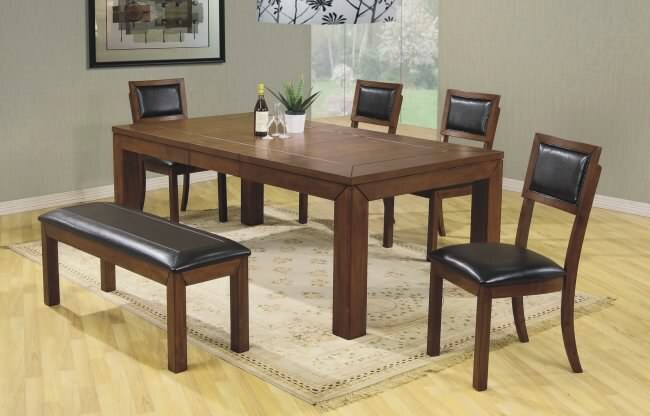 This collection of transitional dining is made of solid hardwood and Acacia veneer. With its ample construction, this table is durable and will last into the years to come. Available in a light and dark finish.